The Simmons Visa® is a no-frills, no-annual-fee credit card with one of the lowest variable APRs on the market, which is exactly why it was recently named a 2019 CardRating's Editor's Choice Award winner for the Best Low-Interest Credit Card. With physical branches in just three states, Simmons Bank barely qualifies as a regional bank. However, they've spent over a century building a reputation for fairness, value, and customer service. Their conservative underwriting approach means that very, very few of their customers ever default on their loans. Therefore, they can offer some of the country's best low interest credit cards. This basic credit card routinely offers a very small spread from the prime rate, ensuring that you'll save money whenever you need to park a balance here. The Simmons Visa® may not come with a leading-edge online banking service or a fleet of concierges standing by, but it offers something that most elite credit cards don't provide: free balance transfers. That means you can pair this account with your favorite rewards credit card or cash back credit card whenever you can't pay off a purchase within a single statement cycle. This one-two punch can help you finance large purchases, like appliances or vacations, when you don't have access to a zero interest teaser rate from another lender. Otherwise, this card's extra perks and benefits match what you'll get from just about any lender's entry level Visa or MasterCard account. The card includes ATM access for cash advances at a slightly higher interest rate than that for standard purchases. Purchase your airline or cruise tickets with this card, and you'll get up to a million dollars in automatic travel accident insurance. The Visa Auto Rental Insurance program means you won't have to pay a rental agency's CDW at the airport. Only a few credit cards offer similar feature set. IberiaBank, another small lender, issues Visa Platinum® accounts with APRs about the same as Simmons Bank. They charge 2 percent fees on balance transfers, though. 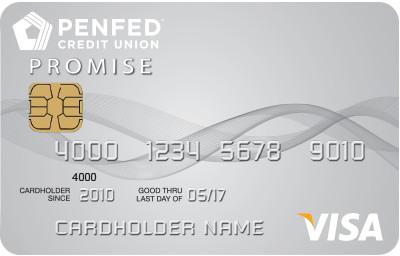 Due to consistently having among the lowest variable interest rates in the country, this card has been an Editor's Choice pick for Best Low Interest Credit Card every year since it came on the market. There's no balance transfer or annual fee with this card, so it's great to have on hand for larger purchases you can't pay down right away. 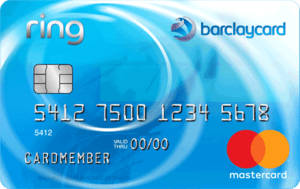 You'll enjoy a range of behind-the-scenes perks, such as travel insurance, with this card. This card is only available to people with impeccable credit. This is the very best card I have ever used. I use it as it was designed to be used,larger purchases that may need a couple of months to pay off. Rate is good but was on hold over 19 minutes to talk to a credit card rep.